1) There is now a wall! 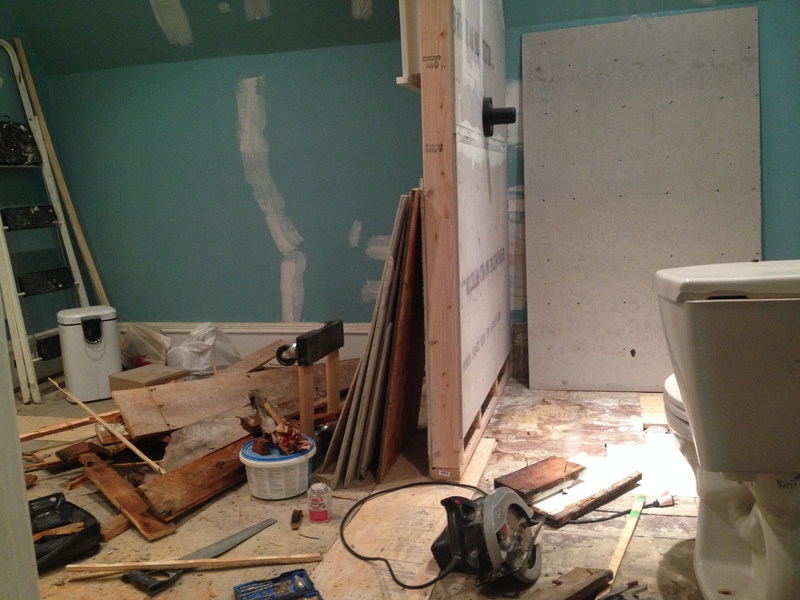 On the left side of the wall, there will be a vintage drain board sink. On the righthand side of the wall, will be our giant shower. Hopefully the shower base will arrive this week and we (I mean Lance) will get rolling on that. I haven’t had a shower in my own house in nearly a month, people. 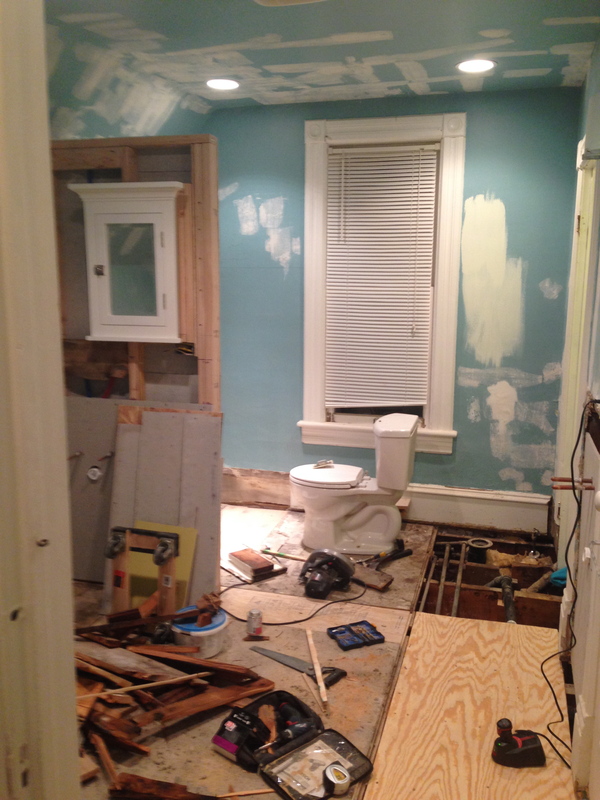 This picture shows the medicine cabinet on the wall where the drain board sink will go. I scored two of these on Craigslist last year (brand new from Restoration Hardware). 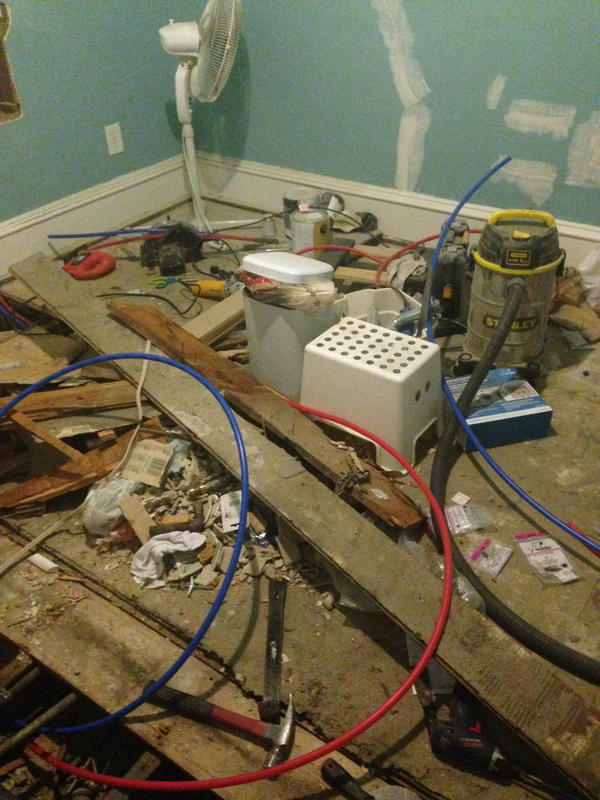 2) Plumbing, plumbing, plumbing. We are now hooked up for the shower, both sinks, the washing machine and toilet. 3) LIGHTS!!!! Our friend Kevin (amazing electrician magician) came over and put in four can lights in the ceiling, put in the appropriate power supply/electrical hook-ups for the dryer, and also put a light in my “bath-room.” Light is amazing. This room was SO dim before and now just the lights shining down on our mess makes me so happy and excited about this room. the little light inside the closet that contains the tub. 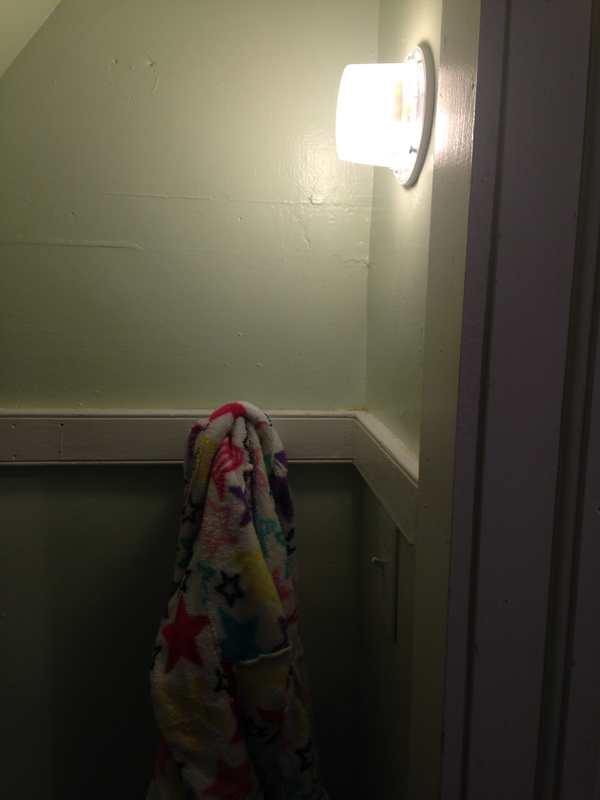 This is just a temporary fixture… I’d love to find an old sconce to put up. 5) Find (by some miracle) a 42″ bath vanity that we can use for the vintage drain board sink on Craigslist. Ideally it would be awesome and free.